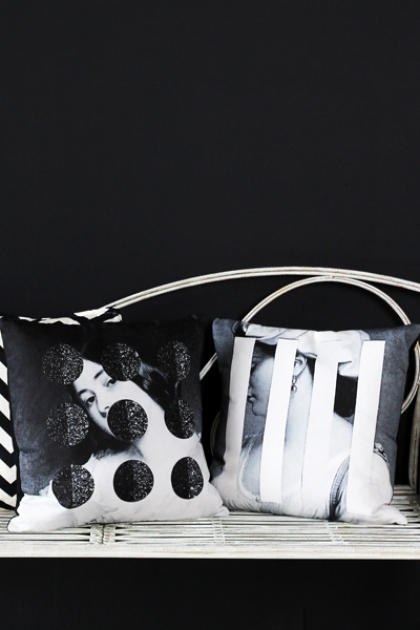 These beautiful cushions are the result of the latest collaboration with the brilliant American artist Chad Wys. Chad Wys is a contemporary post-conceptual collage artist who seeks to engage viewers through manipulation of the formal aesthetic by establishing new, heightened contexts and conversations. His work often uses art historical motifs to highlight the disconnect between that which the viewers experience and that which they come to understand about what they are seeing. PLEASE NOTE: THIS LISTING IS FOR ONE CUSHION ONLY. PLEASE CHOOSE FROM THE DROP DOWN MENU BELOW. Textured circles bring animation to this pensive scene, inviting admiring and quizzical glances. Designed exclusively for mineheart by the artist Chad Wys. Made in England from 100% cotton satin, with concealed zip and feather pad. Parallel lines or bars? Hiding or being constrained? This retiring lady would grace any interior, contemporary or traditional. 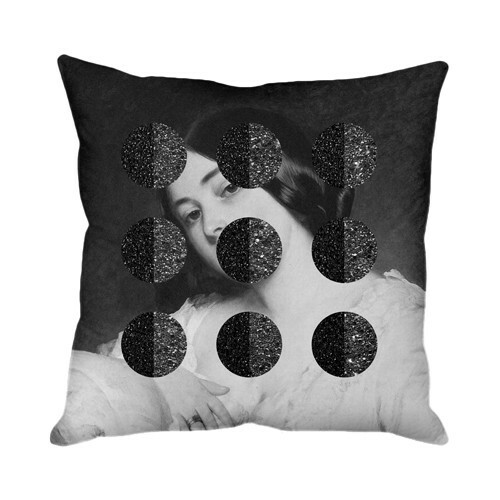 Made in England from 100% cotton satin, with concealed zip and feather pad, this cushion is a LIMITED EDITION. 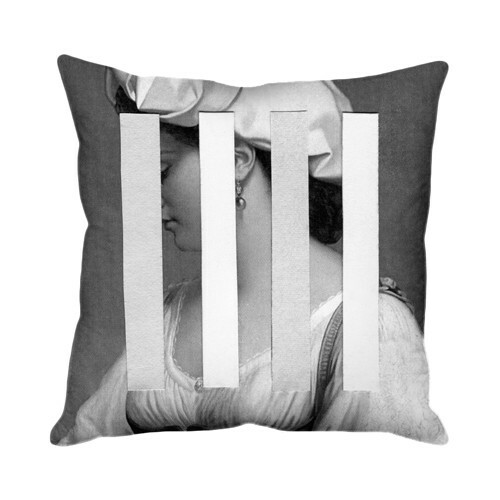 Please note the delivery lead time for these cushions is 5 - 7 days.